The heated debate over vaccines often takes place in the virtual confines of social media and other digital outlets. But dedicated anti-vaxxers are now traveling from around the country to Atlanta to the Centers for Disease Control and Prevention, packing the audience at the three yearly meetings of the Advisory Committee on Immunization Practices. At the last gathering an estimated 80 crusaders against vaccinations took up about half the available seating, according to Science magazine. 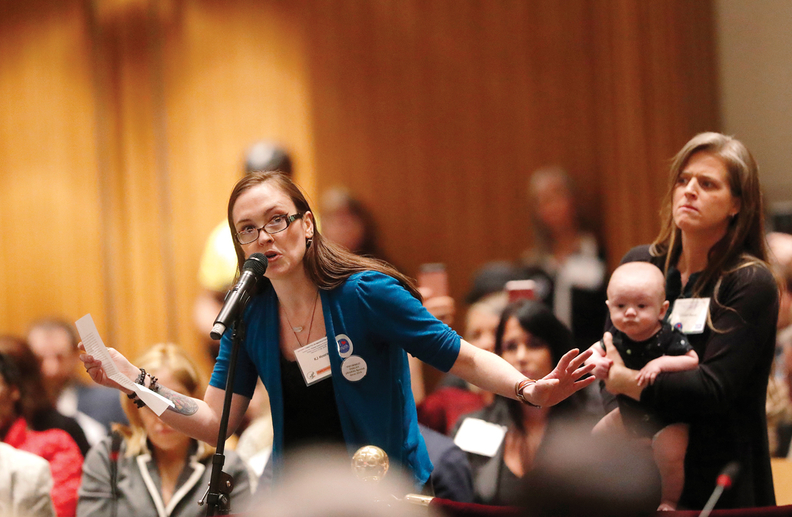 The anti-vax contingent has been growing rapidly at the meetings since last year, when internet radio host Lynette Barron launched the “Inundate the CDC ACIP Meetings” Facebook page, which has more than 1,200 followers. To handle the growing crowds, the CDC has adopted new rules of conduct to curb disruptive behavior, and warns attendees they may need to pass through metal detectors or otherwise be searched. Police guarded the doors at the last meeting, and a rope divided the ACIP panel from the audience.